Kerala is one of the major hubs of Indian elephant training with a rich history of using elephants for logging and for religious festivals and ceremonies. We work with the Neyyar Dam Elephant Sanctuary where the elephants are generally orphaned or injured elephants that are simply unable to be re-introduced into the wild. We love the atmosphere of southern India and learned a great deal here. Kerala’s trainers have a vastly different method which is adapted to their environment. This park borders Bhutan along the banks of the mighty Manas River. Manas is an incredibly diverse national park that has a plethora of birdlife and big cats including Tigers, Leopards (black and spotted) and they now have a Rhino re-introduction program that has seen over twenty Rhino successfully re-introduced to the wild. Our work here is with the park guards and mahouts that patrol the park on elephants keeping a presence to ward off poachers, for census measures counting the wildlife and as general transport to reduce the requirement for roads and bridges within the park. Kaziranga is home to the world’s most successful Rhino conservation program and one of India’s most incredible natural assets. With an initial population of 280 Rhino, the park’s Rhino population today is over 3000 individuals and growing. Rhinos from this park that have been (for whatever reason) hand reared are being re-introduced to other national parks, namely Manas National Park. Our work here is primarily with the park mahouts and guards, ensuring they can continue to monitor and protect the Rhino from poaching. The ability to maintain constant close surveillance on this national park is a large reason behind the success of their conservation efforts. The Government company Myanmar Timber Enterprise (MTE) has the world’s largest privately owned population of Asian elephants with an approximate population of around 3000 captive elephants. MTE has used its enormous herd for the company’s logging operations with the terrain being too extreme for regular machinery based operations. 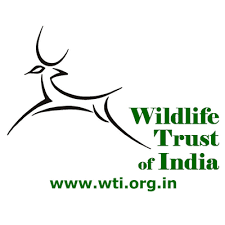 MTE has engaged with H-ELP to develop sustainable and welfare centric methods of working with their elephants. Thailand has the world’s biggest “Elephant Tourism” industry. People come from all over the world for experiences with these incredibly gentle and tolerant animals. With the translation of our book “Elephant Friendly Training for Working Elephants” into the Thai language, our work has been supported by the Thai Elephant Conservation Centre (TECC). This involves working with the Royal Stable and the Thai Elephant Institute (TEI). The aim of TEI is to develop elephant conservation in a sustainable way and preserve local traditions. Our work here is around the early training of elephants and the reformation of traditional aspects of existing techniques based on submission. The epicentre for elephant tourism globally, we began our work with ASEAN Captive Elephant Working Group (ACEWG) and partners. Our first workshop in Laos started in January 2018. In a beautiful location, Luang Prabang is home to some of the most progressive workshops we’ve encountered to date.